Yes, you’ve read that correctly. Some of you may have already seen the notice on the website’s forum, but this is the end of the line as far as the website’s blog is concerned. So let me first of all thank everyone at Stamp Magazine for having given me the opportunity to write this blog for two years. It’s been a great ride and I’ve enjoyed it thoroughly. I also would like to thank you, my faithful readers! Some of you date back from when I had my own blog, many moons ago, so I’m absolutely thrilled to see that you’re still with me. I hope you’ve all enjoyed these past two years. Some of you were even mad enough to send me stuff every now and then, which I could use here on the blog. Actually, I received such an item the very day the decision was made to stop. It now is the perfect item to include in this last post, even though you must forgive me (once again) for this nostalgic moment. 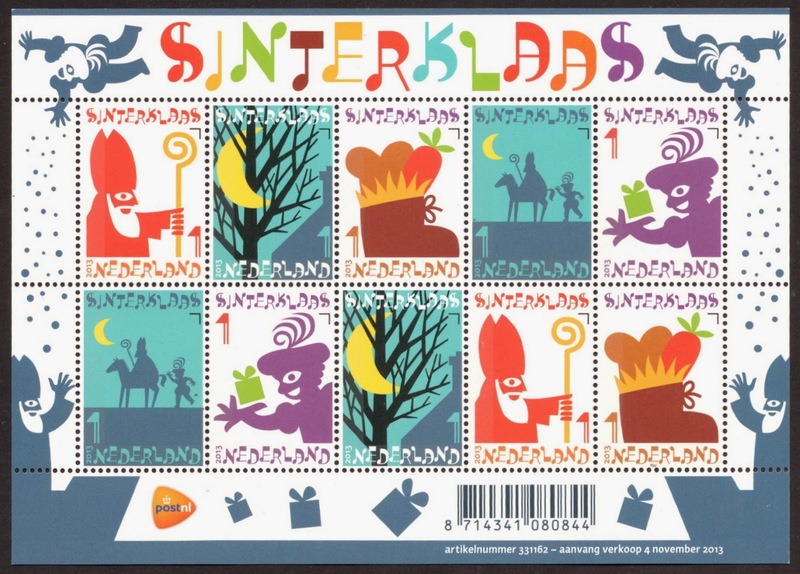 It is a ‘St Nicholas’ sheetlet from Holland, and it harks back to imagery so well known to all Dutchmen from when they were kids, with Nicholas on his horse and his helper Black Pete riding on our roofs and dropping presents through the chimney into the shoes we put there for that purpose. The carrot and hay we put in there, as a thank-you pressie for the horse of course! I won’t disappear of the radar completely though. I think I will pick up my own blog again. I have started a website/blog on stamp engravers and it would be great if I could see you there every now and then. You'll find it by clicking HERE. 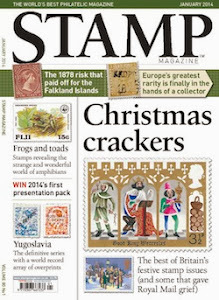 I will also of course keep writing for Stamp Magazine, and I am very much looking forward to having a bit more time again to write some more major features, which is what I enjoy most. 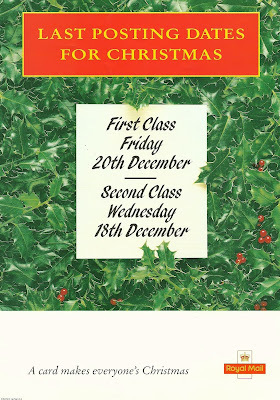 For the first time in ages we had a ‘Christmas’ themed evening at our local stamp club. 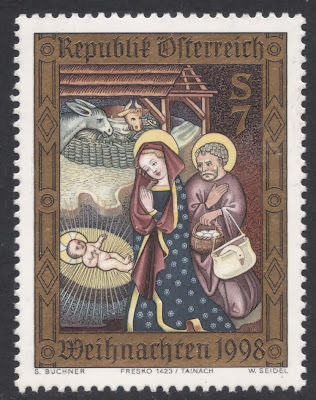 I decided to show a selection of engraved Christmas stamps from Austria, and they make a perfect theme for this year’s Christmas blog as well! I quite like the Austrian issues, because they’re clean and simple. 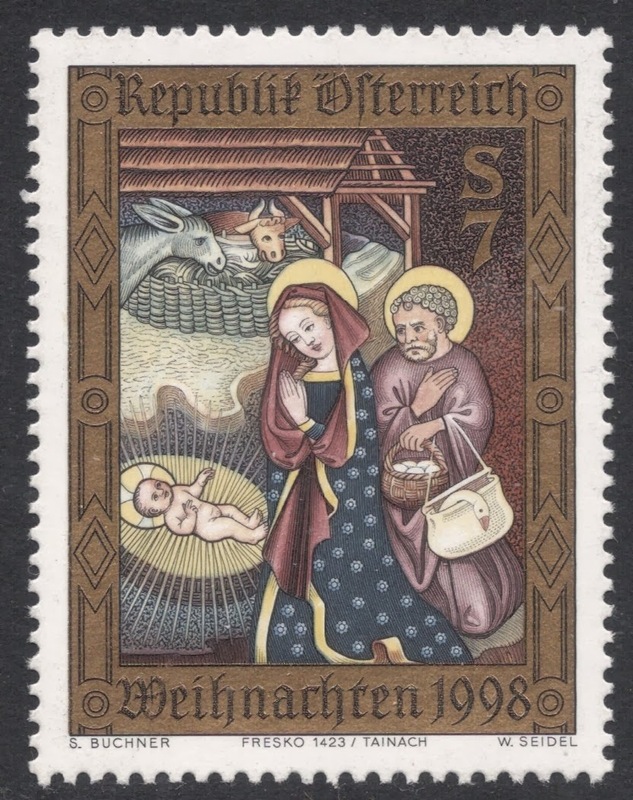 Just the one stamp each year and almost always the designs are based on a Nativity scene. 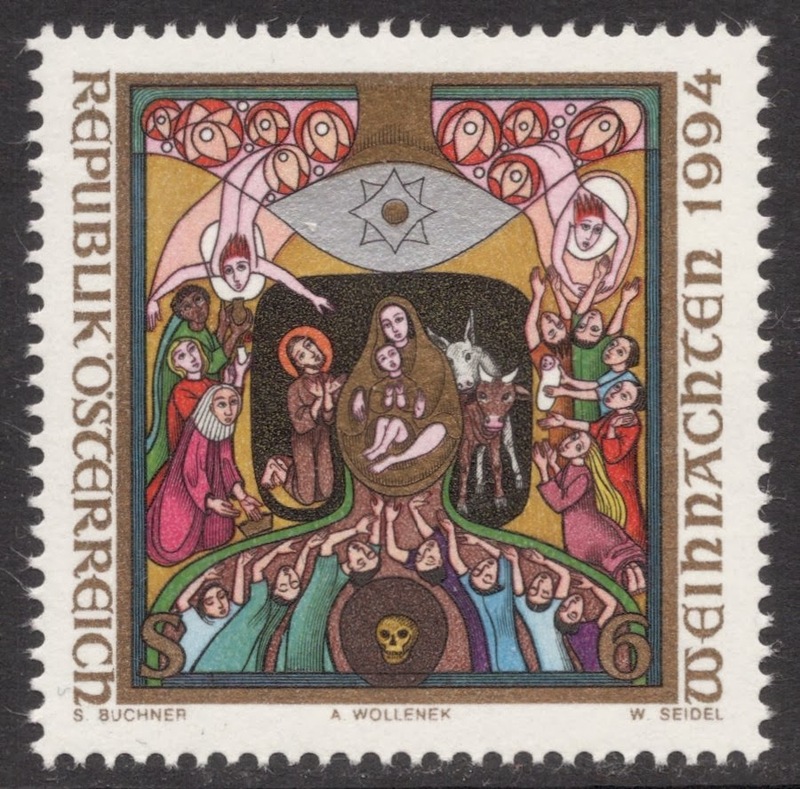 Austria, of course, is steeped in Baroque architecture and art, so it isn’t very hard for them to come up with the most wonderful designs based on the many artefacts in their churches and abbeys. Some are incredibly old, such as this 15th century fresco which you’ll find in the church at Tainach in Upper Carinthia. Funny how Joseph’s handbag looks more 20th century than anything from that long ago! 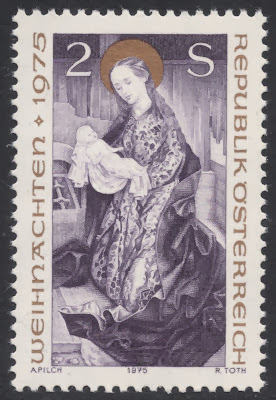 Some are not old at all, such as this modern icon by Anton Wollenek, made in 1920. 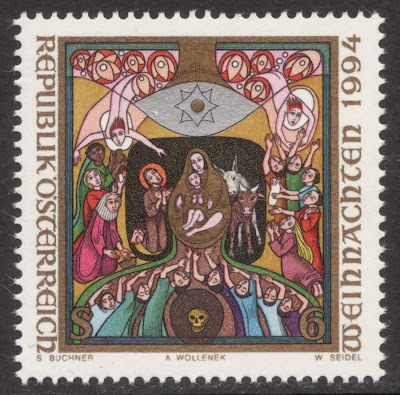 Professor Wollenek is internationally known for his icons, and they have also appeared on various stamp issues from the Palestine Authority, such as this 1997 Christmas set. As you will probably know I have a soft spot for stamps which are (almost) wholly engraved. 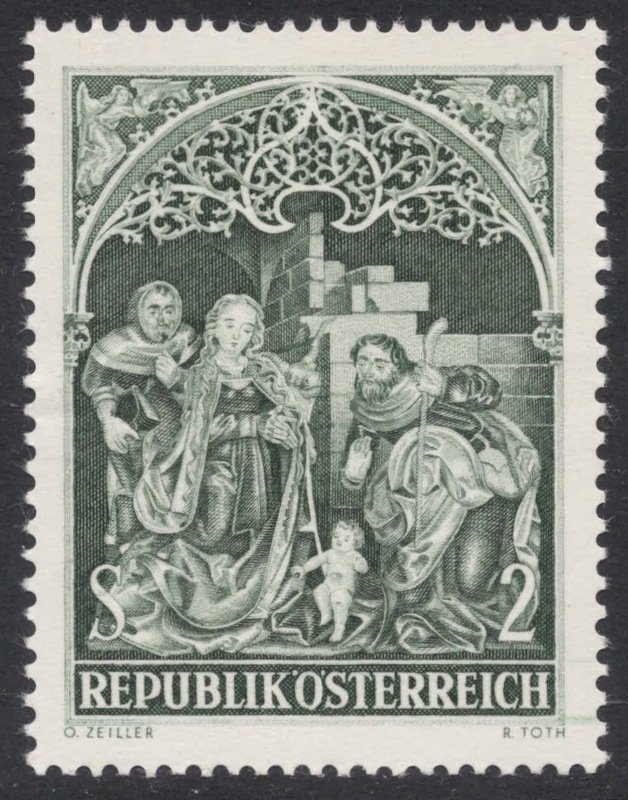 My favourite ones from the Austrrian catalogue are therefore the Christmas stamps engraved by Rudolph Toth. I like the serenity of this Virgin and Child stamp from 1975. It is part of the altar in the Viennese Schottenstift, or Scottish Abbey. It is late Gothic, dating from the 15th century. 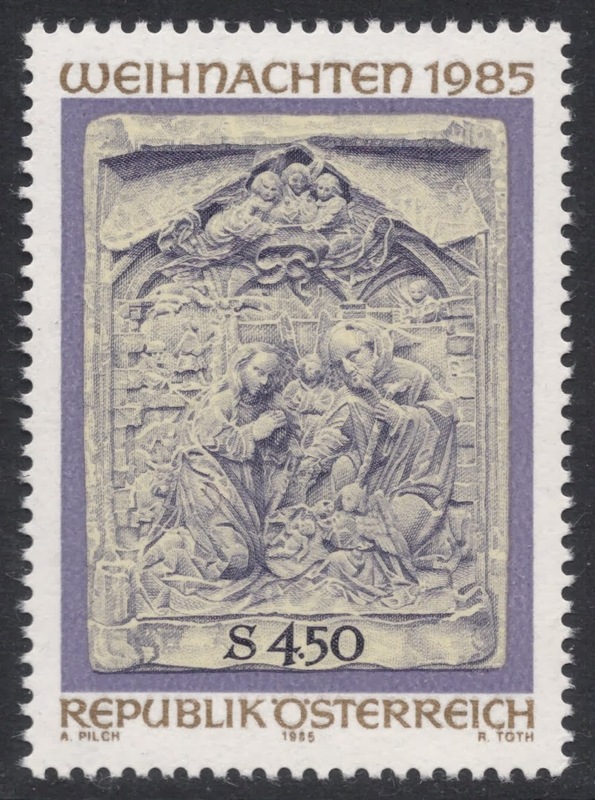 Another gem is this 1967 stamp, depicting the Adoration of the Shepherds. It is the middle part of a beautiful triptych which is part of the altar of the Nonnberg Convent in Salzburg. Again, we’re talking (late) 15th century here. But my absolute favourite is Toth’s 1985 stamp. 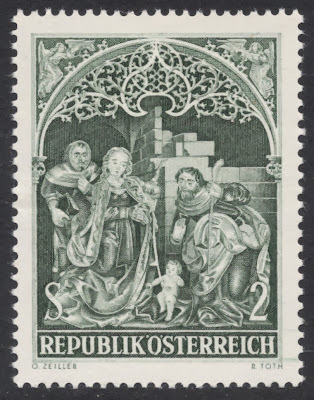 It depicts the Adoration of the Christ Child, and is a marbled relief which you’ll find on one of the prominent houses in Salzburg. But it’s not so much what it depicts. The quality of the engraving is so incredibly superb that you still think you’re looking at a relief rather than an engraving. In fact, I love it so much that I made it my desktop background this Christmas period, so I can look at it each and every day. Just click on the image to get a blown-up version and you’ll see what I mean. I can only hope that your Christmas will be just as wonderful as this! My Christmas present flew in early this year. In fact, it was early November when I got it! 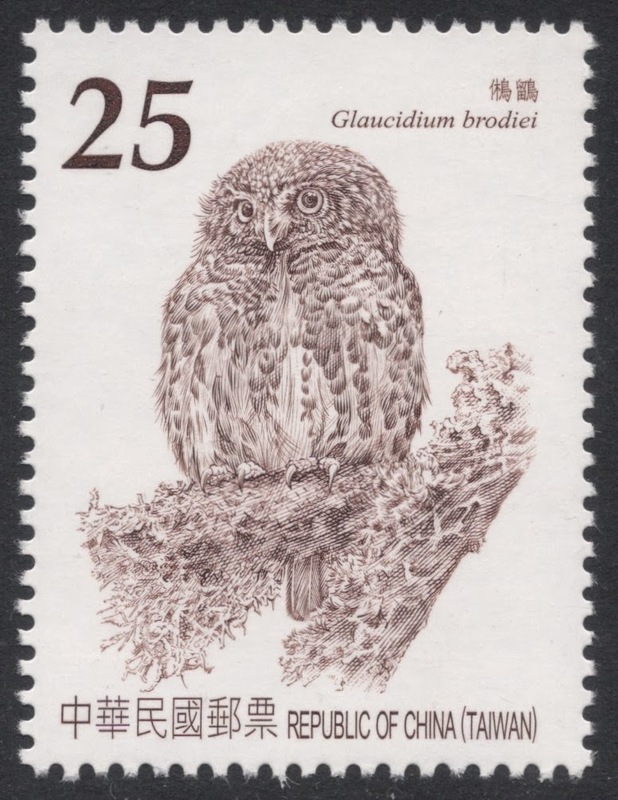 On our annual trip to Holland I happened to pass my stamp shop of old in The Hague, and although I didn’t really plan to get anything, I suddenly noticed these Taiwanese owls in the window. I remembered they were shown on our website’s forum. 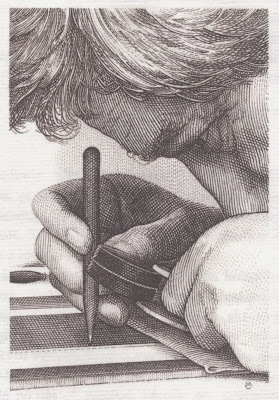 They made a great impression at the time because the engravings include secret engraver’s marks. So, needless to say, I rushed in and got them. And it being close to Christmas, I was kindly encouraged to get the other two sets in as well, to have the collection complete. So when I got the three sets at home, I started researching the engravers. 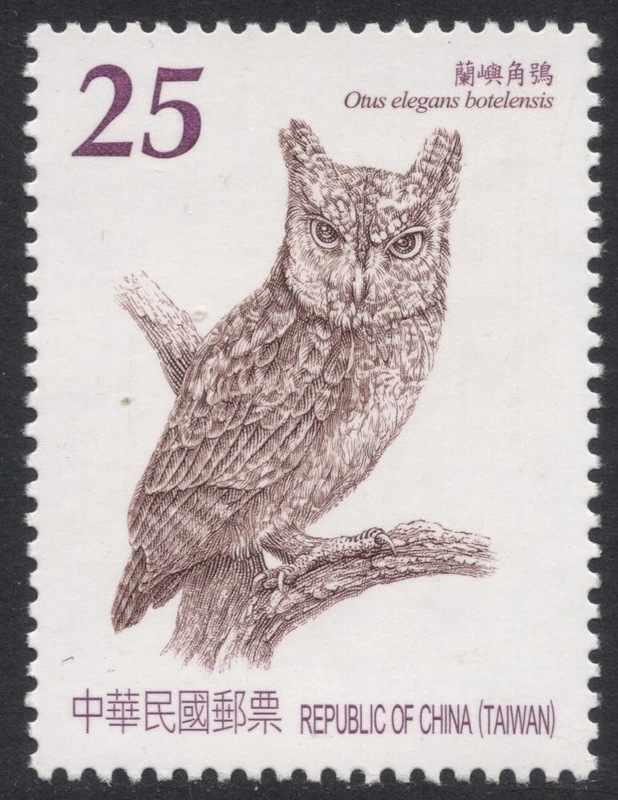 Luckily, the website of the Taiwanese post mentioned the engravers. 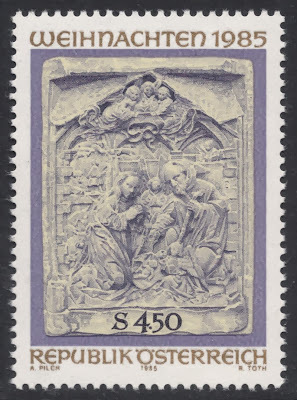 But it didn’t say anywhere whether these engravers each worked on a different stamp or whether all stamps were co-productions. 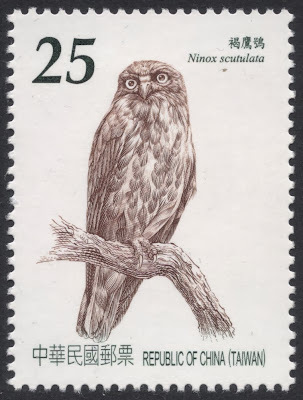 And also, there were names which were so alike that I was wondering whether they would actually be one and the same engraver, with the differences being explained by translating the Chinese characters into Latin script. So I tried the easy way and emailed both the Taiwanese Post and the actual printers, asking them for more information. As if… Of course I never heard anything back. I even tried to impress them by mentioning I once worked for the Taipei Representative Office in The Hague for a bit, but even that didn’t persuade them to come back to me. So I had to do some more research myself. And of course got hopelessly stuck. 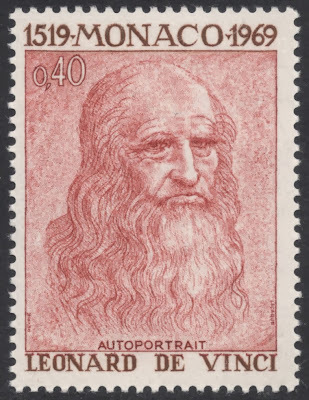 I did, however, manage to convince myself conclusively that each stamp was engraved by a single engraver, for the secret marks were mainly the engraver’s initials. I also think I’ve solved the Chen Y Ling versus Chen Yu Ling situation. 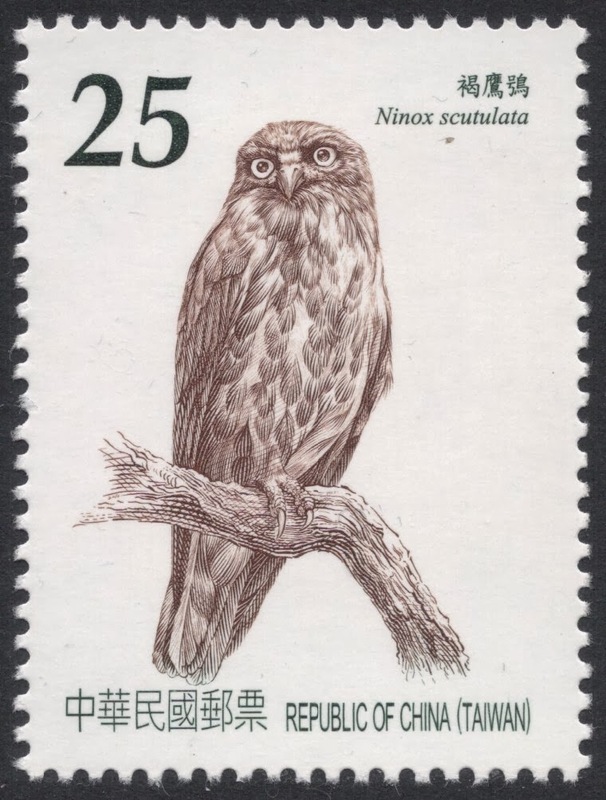 Both these names are mentioned on the post office website, but the stamp attributed to Chen Y Ling includes the engraver’s mark YU-L, therefore I think I can safely conclude this is one and the same engraver. No such luck, though, with Huang Lien Tsai and Huang Lian Cai. Lien supposedly has an E, an H and a T as engraver’s marks, and the two stamps attributed to Lian have either HLT or HUANG. Now, to be honest, I can’t find Lien’s E anywhere, so if that E maybe isn’t right and there should be an L somewhere, then we’re one step closer to concluding that these two are just the one engraver. 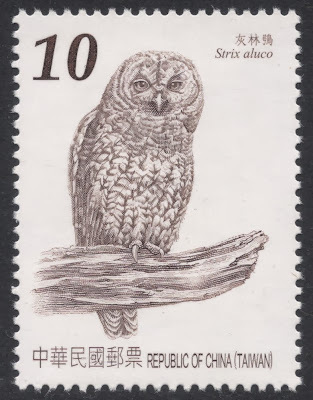 Especially seeing that Huang Lian Cai's stamp initials of HLT fit Huang Lien Tsai's initials perfectly. So if you’re as mad as me, but cleverer, and have already solved this riddle, or if you speak and read Taiwanese and you can find out whether this is one or two engravers, then please do get in touch so I can finally get some peace of mind! I was looking for the 2002 joint issue of Sweden and Thailand, depicting royal palaces, which I needed because it was engraved by Slania. The Thai half of this set depicts the Dusit Maha Prasat Throne Hall in Bangkok, a stunning 18th century building in a crucifix form. When I received it, it came with another set, depicting Thai architecture. 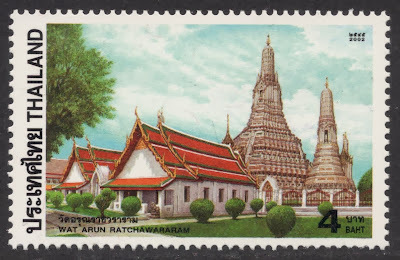 Again from 2002, it is a set depicting Thai temples. 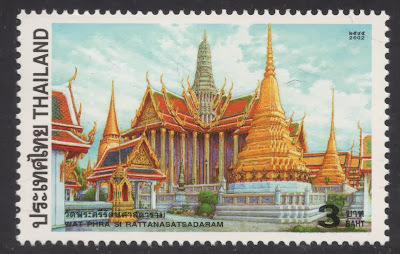 The architecture, but also the design of stamps, is so beautiful that I just had to share it with you. On the first 3 baht value we find the Temple of the Emerald Buddha. This is the Royal Chapel which was initiated by King Rama I, the first king of the Chakri Dynasty. 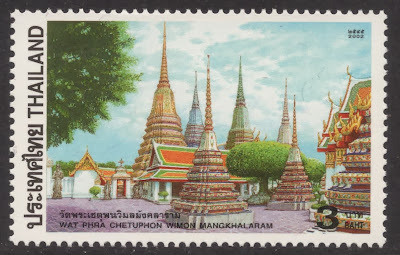 The second 3 baht value shows Wat Phra Chetuphon Wimon Mangkhalarm, better known as Thailand’s first public university. It is a centre of Thai knowledge but it is also known for its beautiful mural paintings. On the 4 baht we find the Temple of the Dawn. This used to be the Royal Chapel, in the Thon Buri period, in the second half of the eighteenth century. The first light of dawn actually reflects off the surface of the temple, hence its name. It is world famous for its stupa or prang, or pagoda, or spire, or whatever you’d like to call it, which contains Buddhist relics. 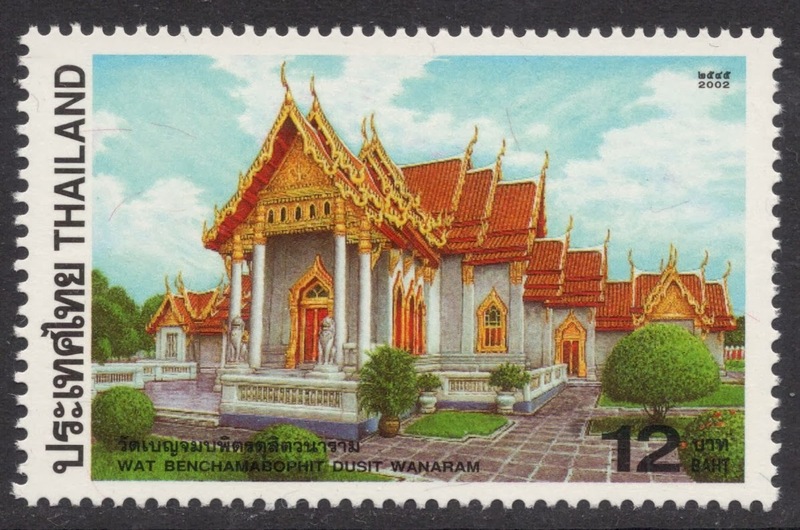 Finally, we have the 12 baht, illustrating the Marble Temple, which was commissioned by King Chulalongkorn. The main chapel was completely built from white Carrara Italian marble. 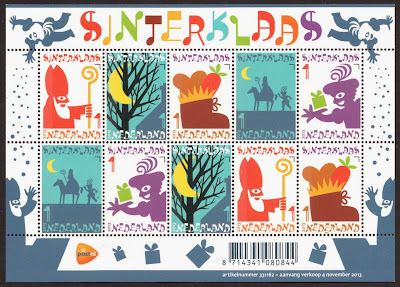 The set shows how stamps could (should?) showcase a country’s heritage. 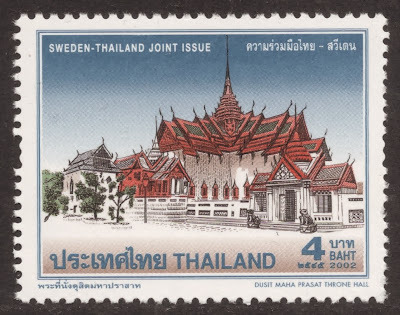 It makes such an issue so much more valuable than just bunging roses or fishes (to mention just a few other Thai issues from 2002) on a stamp. 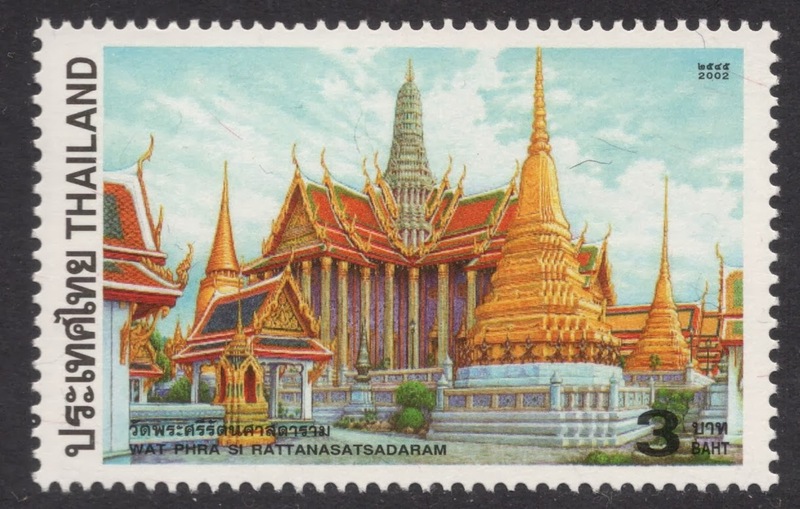 So well done, Thailand, for showing the world that even modern stamps can be beautiful and worthwhile! 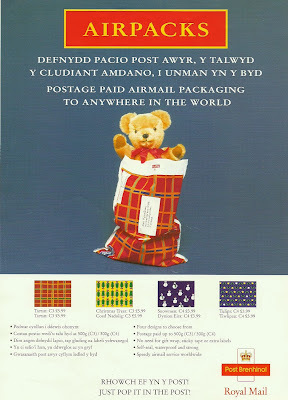 I was clearing out a shelf from my stamp cupboard the other day and came across a few postal items I had completely forgotten about! 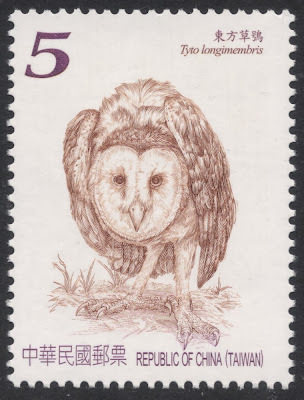 Way back in the mid 1990s, when I started coming to the UK much more frequently, and had just come back into stamp collecting, I made sure I got friendly with the local post mistress. As one does. I must have done something right for she soon let me handle her newly received stamp sheets and let me tear out cylinder and date of printing blocks. 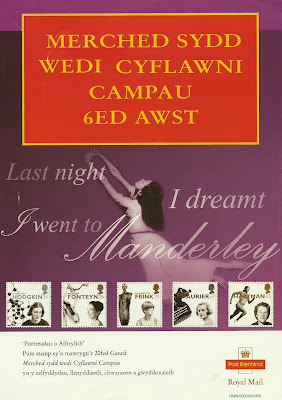 Then one day, with a slightly secretive look on her face, she handed me this brown envelope, saying she wasn’t sure whether she was allowed to do so, but would I be interested in all these old A4 post office stamp posters? Thrilled to bits, I gladly accepted them, and now here they are back on my desk again. 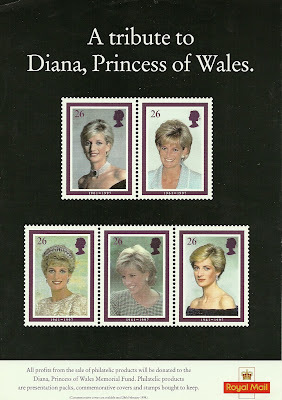 They’re from a period of time during which many a gorgeous stamp set was issued by Royal Mail. 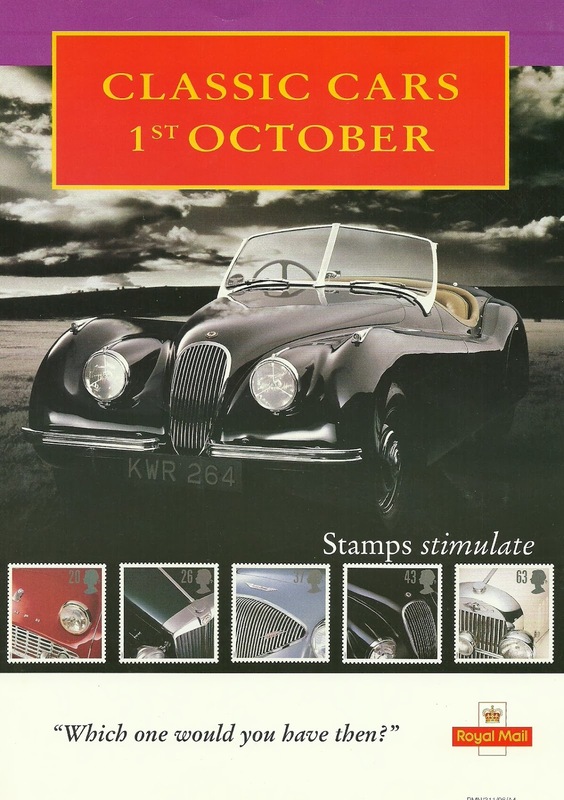 I particularly like the ‘Women of Achievement’ issue and the ‘Classic Cars’ issue. 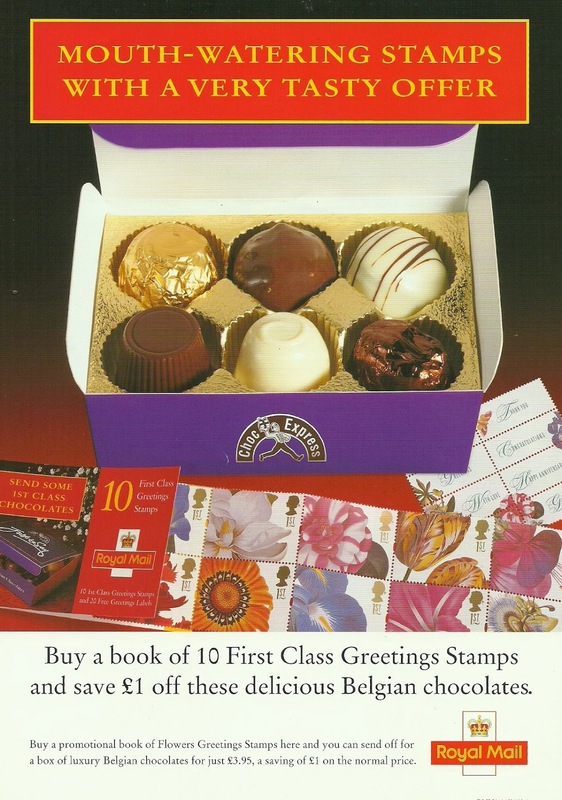 But there were also more general posters, advertising several stamp books with special offers (chocolate!) and competitions. 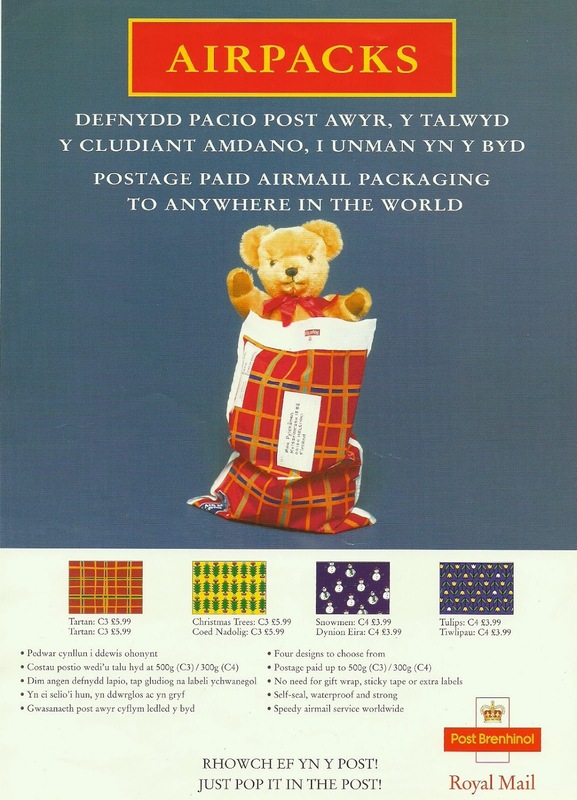 And the 1996 version of Post Early for Christmas campaign. 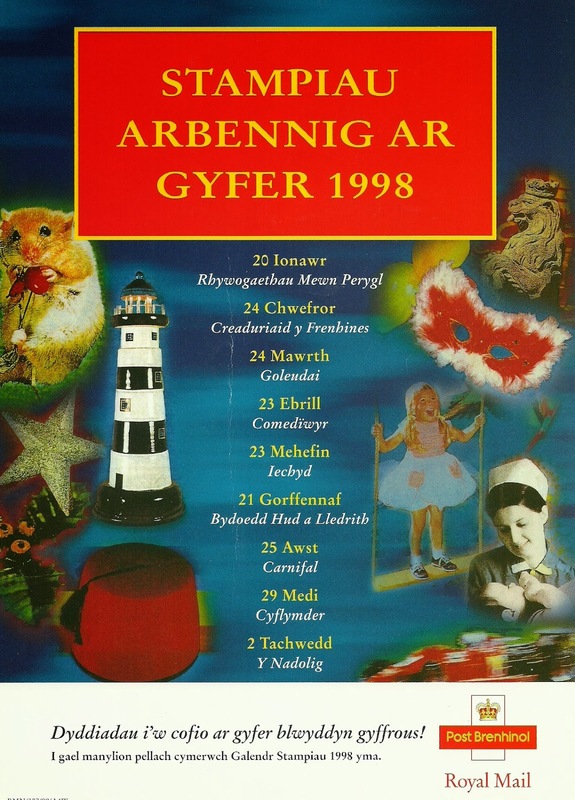 My lovely postmistress was stationed in rural Wales so many of the posters were either bilingual or completely in Welsh, which of course makes them even more special. 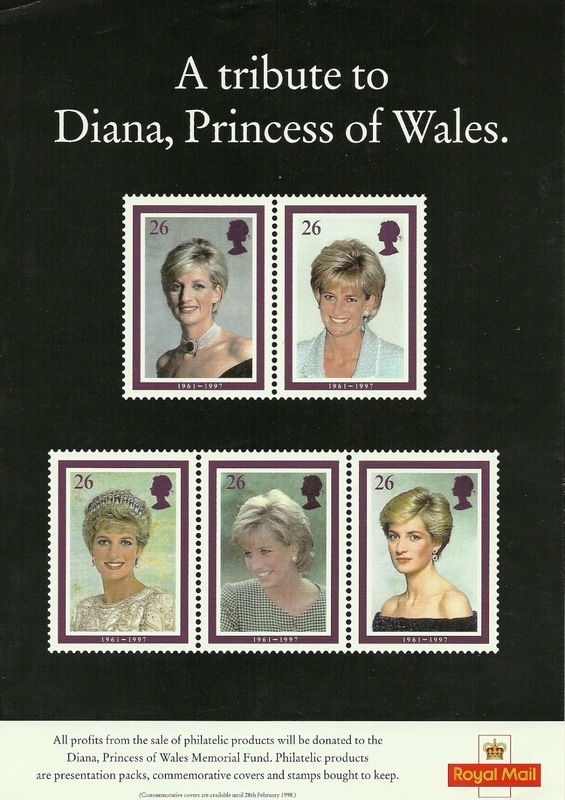 I love the one of the 1998 stamp issues programme. Look at the dormouse on the left, that was actually a photograph used on an unadopted essay for the Endangered Species set! 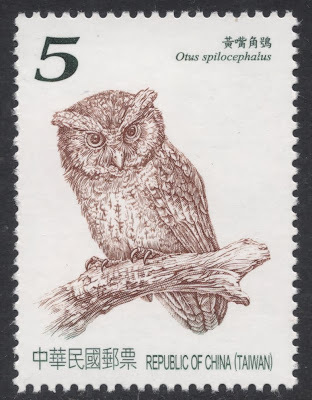 It has since appeared on one of the Stampex postcards, but that item is still lost somewhere on another shelf so I can’t show that to you. 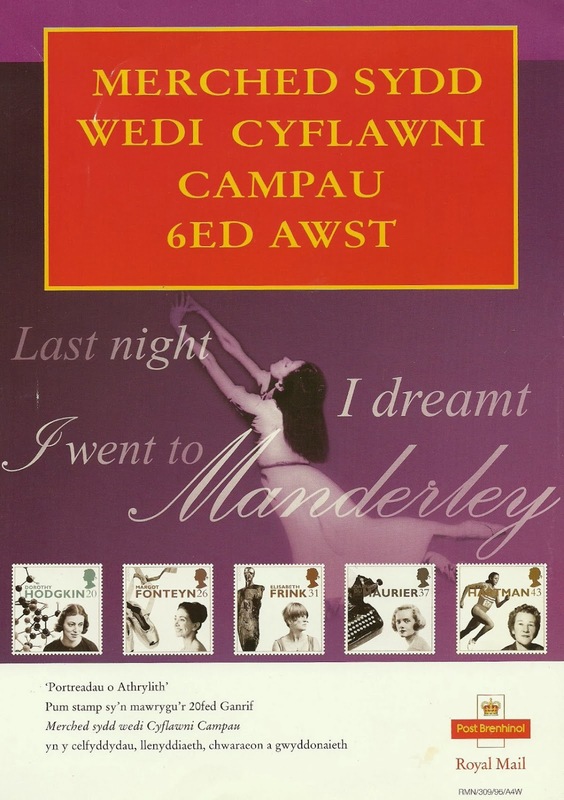 It’s only a pity that the one poster with a proper Welsh subject, that of the Princess Diana set, is actually in English only. That one would have been great to have got in Welsh, but my postmistress may well have kept that one for herself! 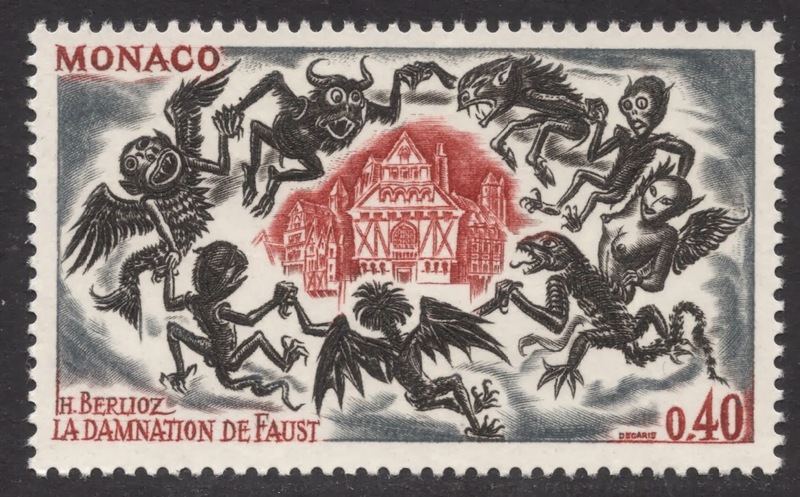 Last week you found me slightly sidestepped because of Leonardo da Vinci, but the reason why I had bumped into him in the first place, was that I was on the hunt for Decaris’ stamps depicting Berlioz’ Damnation of Faust, a 1969 stamp set from Monaco. The set featured in last month’s Stamp Magazine and was described as being Decaris’ tour de force for Monaco. And it sure is. I was especially curious to see how he could translate music into stamp design. Berlioz must have felt similar pressures when he tried to translate Goethe’s famous poem Faust into music. 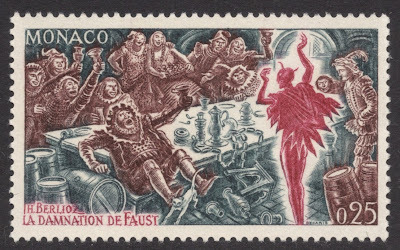 Although the story was already there, he never really nailed it and had to admit later on that his Faust worked better as a concert piece than as a staged work. And yet, the story is quite compelling. 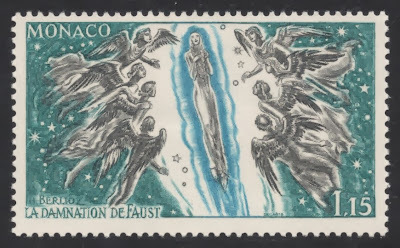 The aging Faust mourns his incapacity to achieve simple happiness and mourns his lost youth and innocence. 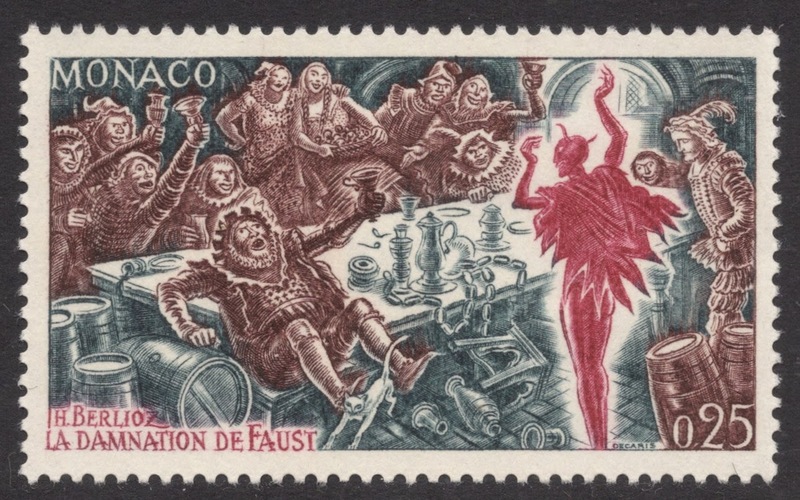 He nearly ends his life but then the devil appears in the shape of Mephistopheles. 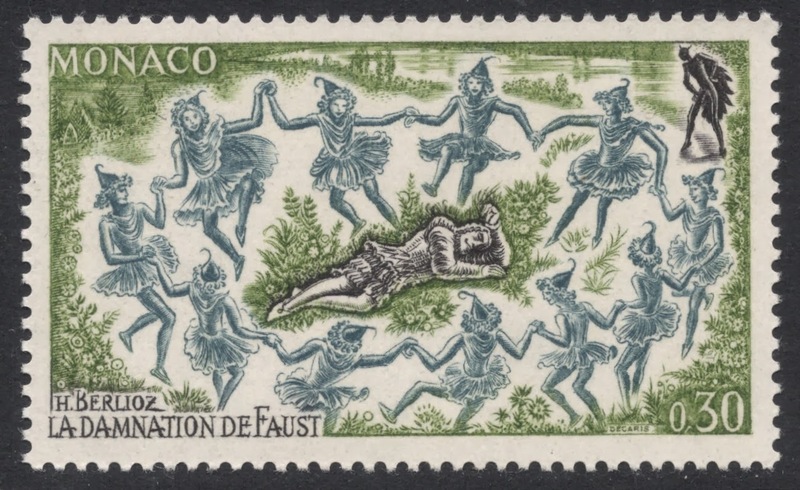 He enchants Faust and shows him the good life. Mephistopheles also conjures up a beautiful woman. 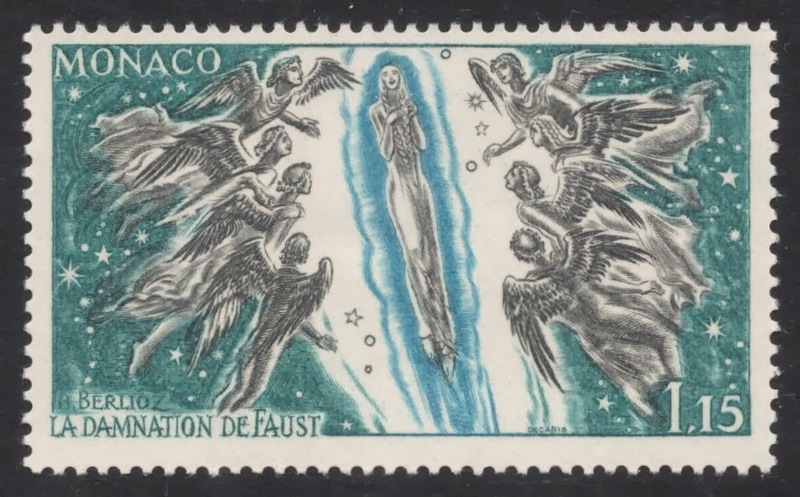 Faust and the beautiful Marguerite fall in love, but she is about to be hanged for having accidentally killed her mother. 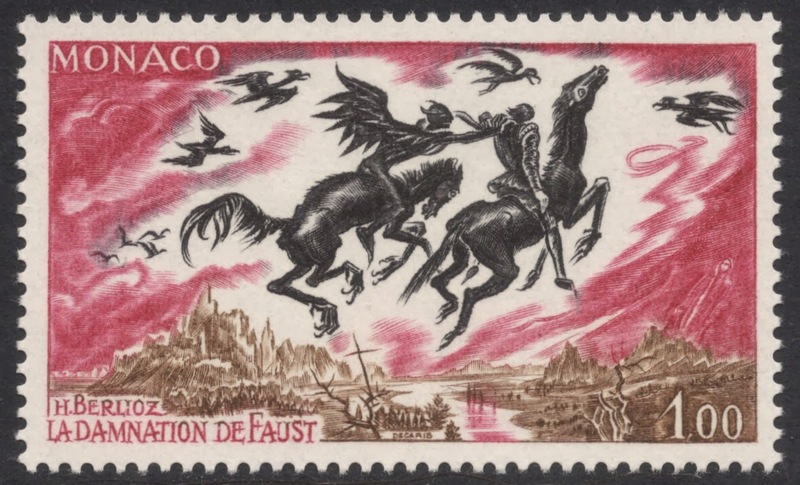 Pledging to do everything he can to save her, Faust sells his soul to the devil. They both ride into hell, thereby saving the lady who ascends to heaven. 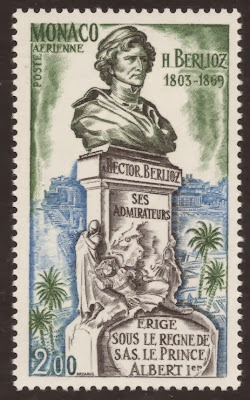 Looking at the whole set of nine stamps, what becomes clear is that Decaris seemed to have fared better than Berlioz. 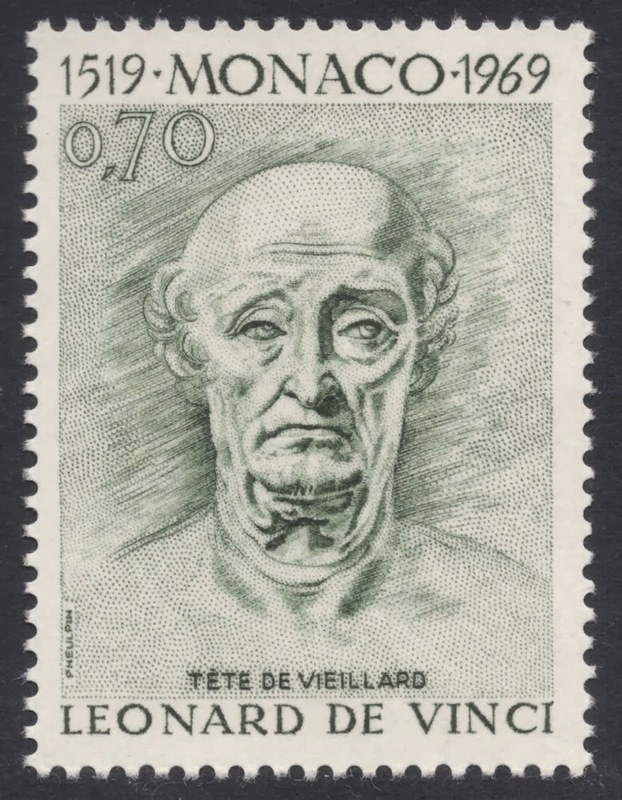 Decaris managed to incorporate the flow of music in his design by using the ploy of ‘surrounding’. On quite a lot of values you see the main subject surrounded by creatures. 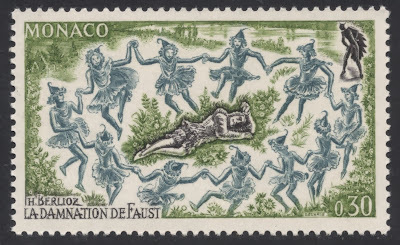 The images are created in such a way that these creatures really seem to dance around the main figure, as if a waltz was being played in the background. 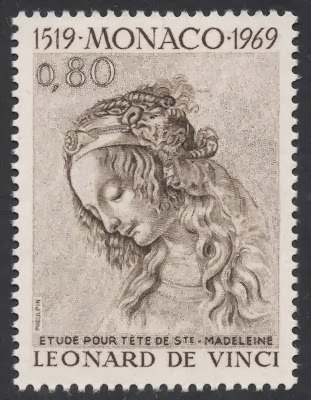 It’s superbly done and I must admit I rate these stamps even higher than Decaris’ famous History of France stamp series, which is normally regarded as his masterpiece. One can only marvel at the design and amount of detail of the engravings. 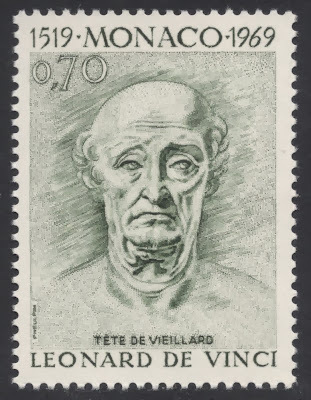 The set was crowned by a tenth stamp, an airmail rate stamp, which is a direct reference to the reason why the set was issued in the first place: to mark the death centenary of the composer. 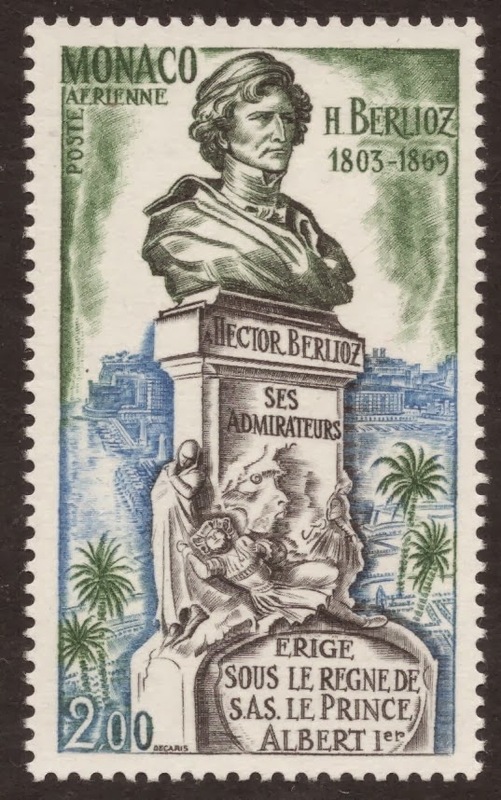 Although different from the nine story stamps, the engraving of Berlioz’ bust is a very fine piece of work as well and a superb and fitting finale to the issue. Last week I was a bit whiney when a large-ish lot of stamps came my way and they weren’t quite what I had hoped for. This week the same happened to me but now I’m jubilant! Why? Well, the large lot I received this week included a set of stamps which were miles better than the set I was originally after. 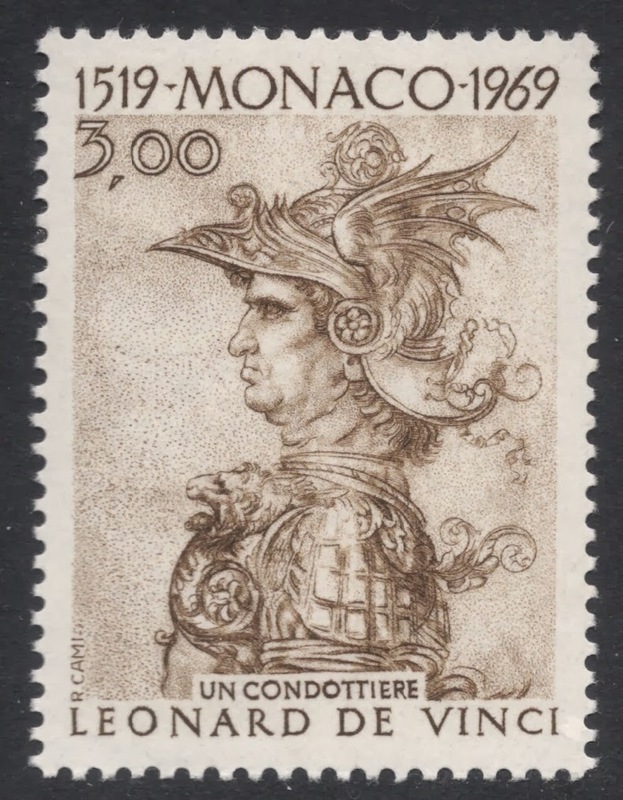 The large lot was the Monaco 1969 year set and the stamps I’m referring to are the six values issued to mark the 450th death anniversary of Leonardo da Vinci. And the great thing is that they illustrated his drawings rather than any paintings. Now, Da Vinci’s drawings are just as beautiful (if not more) and famous as his other work. I even remember, on my very first trip to Scotland back in 1985, that I went to the Scottish National Gallery on the Mound in Edinburgh to see an exhibition of his drawings. So perfect, such beautiful colours. 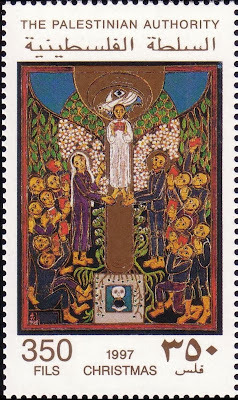 The stamps stay true to their subject matter and are just as stunning as the original artwork. 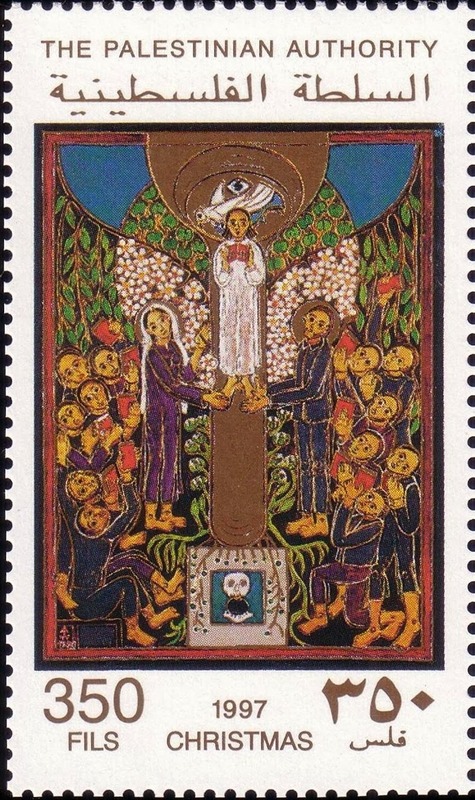 I’ve said before that depicting art on stamps is tricky to say the least. But if you forget about paintings and try and focus on artworks that may be reproduced better on a small format, such as drawings, then you may well be on to a winner. 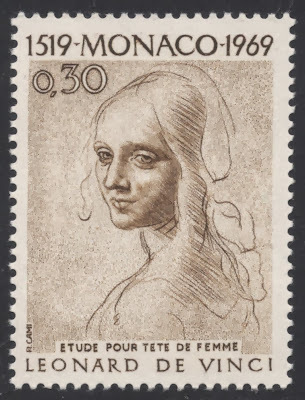 The drawing of the head of a girl, dating from around 1483. 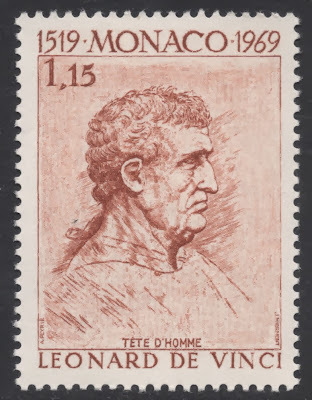 Engraved by Robert Cami, on the 30c. 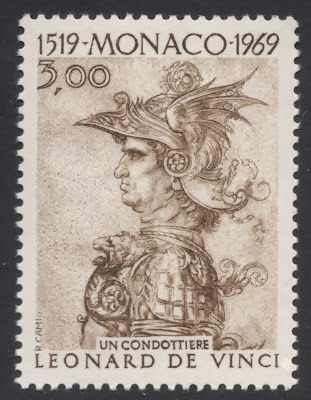 The Condottiere, also engraved by Cami, on the 3f. 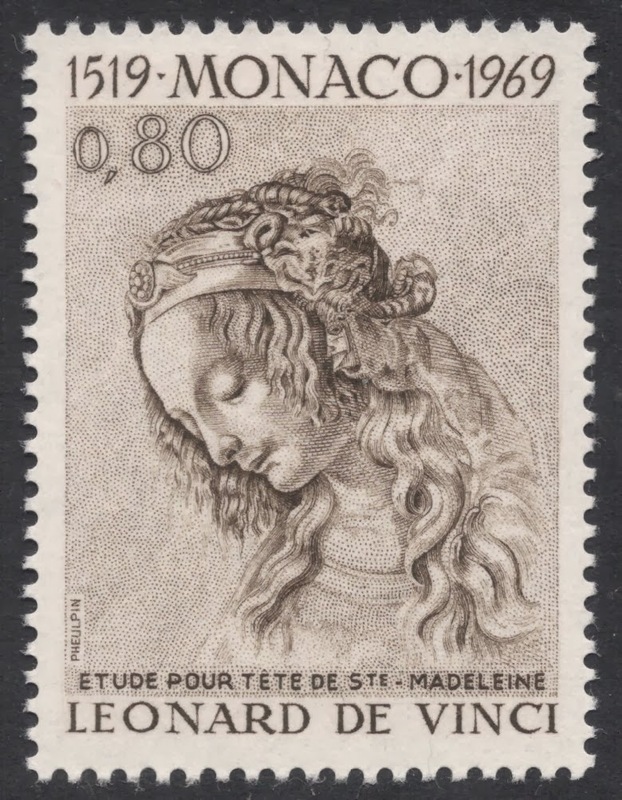 And finally the Head of St. Madeleine, engraved by Jean Pheulpin, on the 80c. Many painters had sketchbooks in which they drew studies for their paintings. But for Da Vinci his sketchbook was so much more. He drew everything he noticed around him or found interesting. His subjects are as wide ranging as his curiosity and include anything from caricatures to human anatomy. 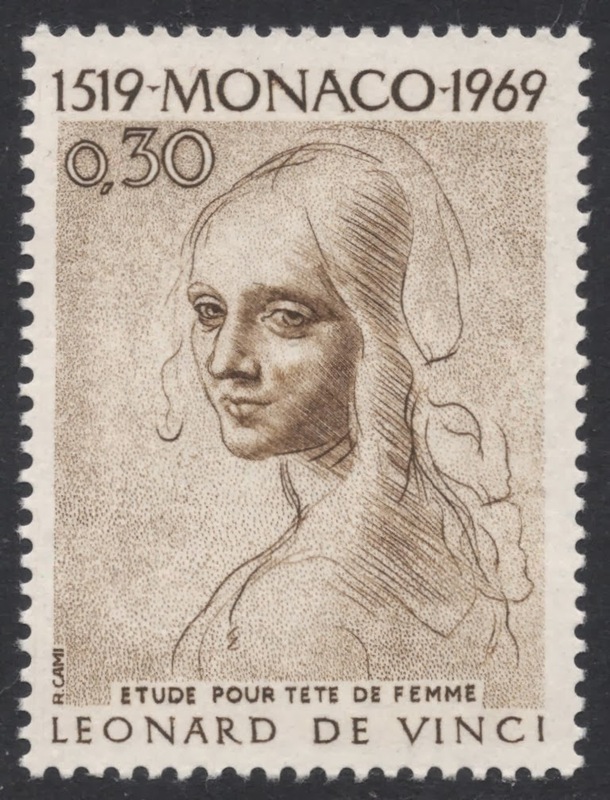 For Da Vinci, drawing was really the act of trying to understand and this understanding gave him immense joy. And that’s obviously what his drawings still exude. Mona Lisa: eat your heart out!